The Cycling Ireland Off-road Commission held their Annual General Meeting (AGM) on Saturday 20 October 2018 at Carlton hotel in Dublin. Minutes from that meeting to follow. The commission members are shown below. The Cycling Ireland Off-road Commission held their Annual General Meeting (AGM) on Saturday 21 October 2017 at Carlton hotel in Dublin. The Cycling Ireland off-road commission held their Annual General Meeting (AGM) on Saturday 21 January 2017 at Carlton hotel in Dublin. Minutes from that meeting are available here. 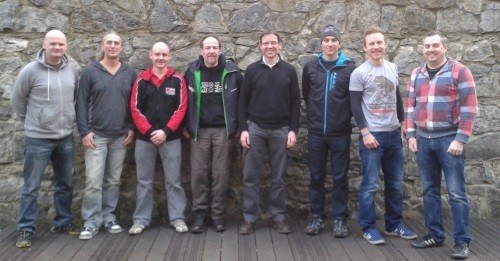 The Cycling Ireland off-road commission held their Annual General Meeting (AGM) on Saturday 23 January 2016 at Louis Fitzgerald hotel in Dublin. The 2014 AGM, which was run in October 2014, was re-run on Saturday 24 January 2015. The meeting took place at Kingswood Hotel Citywest, Dublin. Minutes from the AGM meeting on 24 January 2015 are given here.